If you’re anything like me, you’ve ended up in a planner’s nightmare: You bought the wrong calendar for the year. Maybe yours is boring. Or it’s a little big ugly. Or it doesn’t inspire you. Or it’s too small. 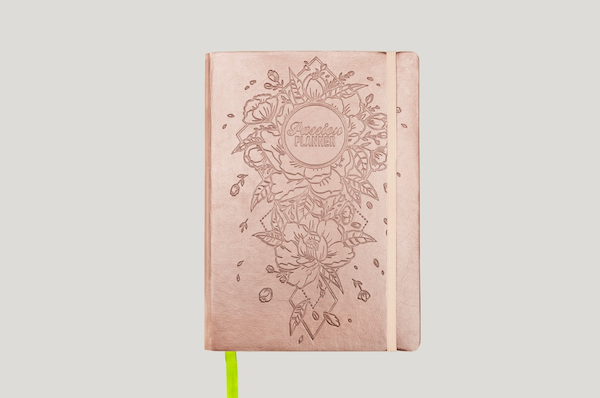 Or you’re sick of the same old turn-the-page calendar with pictures of sunsets. If that’s the case, it’s not too late to do an organizational overhaul, even though January is nearly over. Hey, I feel for you. My solution? Go for something big. I finally did this year, and it’s paying off in huge ways. This Perennial Wall Calendar from Poketo ($48) is a fill-in-the-date kind of thing and there’s an enormous poster-size page for each month of the year. Attach it to your fridge and you’re good to go. Not only is it modern and colorful, but there’s room enough for everything you have going on for the month. You’ll never forget to pay your rent again. Edgy, modern, and oh so comfy, these new releases from Beklina are a traveler’s dream come true. I have tried the new Beklina Tétouan Loafer (in black) on in real life, and I can vouch for the exceptional comfort of this $240 shoe. It’s well worth the investment. If you’re traveling this upcoming summer (or anytime before then) and will be doing some walking, you don’t want to look like a tourist, right? No sneakers allowed (unless they’re fashion sneakers like AllBirds.) This loafer is the perfect alternative. Its cork bottom and snug leather upper make for a stylish shoe that will attract attention, for all the right reasons. Find them here. Pants that you wear to work—totally boring, right? Wrong. 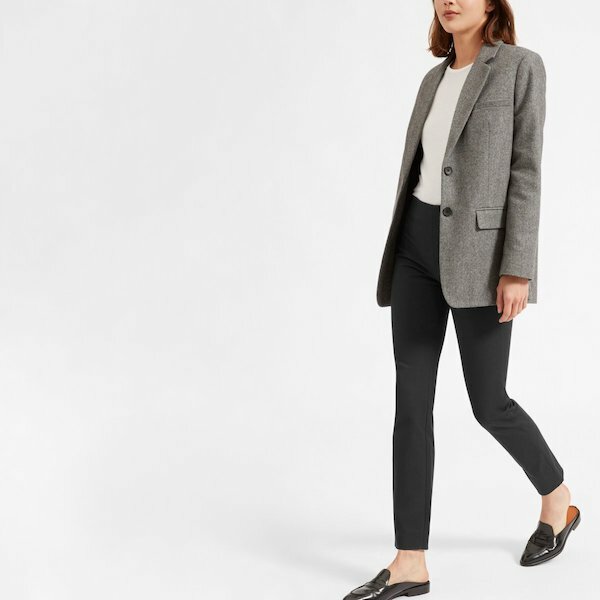 This simple but super flattering pair from Everlane will have you itching to go to work. No kidding. Why? Because they’re just about the most comfy and cool work pants that you’ll find anywhere. And, they’re only $50. I received a pair of these as a Christmas gift, and while they’re a slim fit, they skim the body, hide any jiggly bits, and stay professional and stylish at the same time. Find them here. Lately, I’ve been crushing on all things French-inspired, and that has led me down the rabbit hole of French style, where I’ve now discovered their elegant jewelry options. 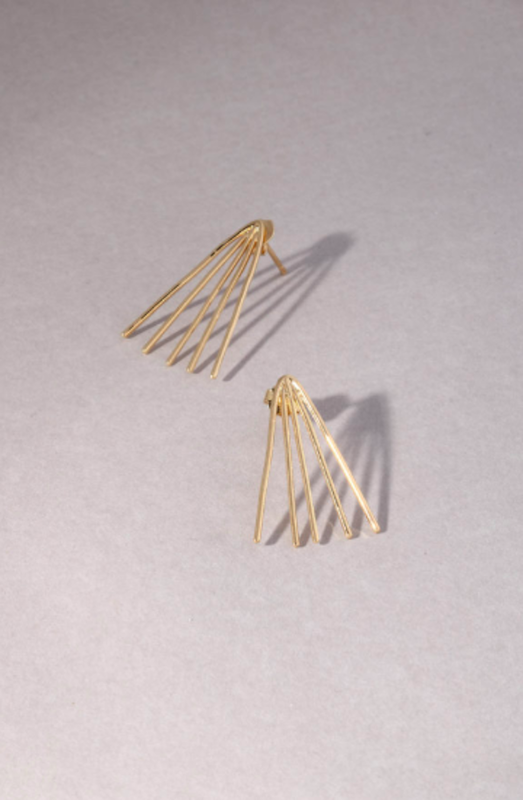 Like these darling sunburst style gold earrings from Anne Thomas for $97.50. Like everything that the French do, these earrings are perfection.